While I am a big fan of simple steamed vegetables, there are times when it pays to mix things up a bit. Every once in a while I will go through my pantry, spice drawer, fridge or freezer, take stock of the contents and then look for recipes that I can make with what I have. Several years ago, I happened to have two full bottles of balsamic vinegar and went on the recipe hunt to look for a number of recipes where I could showcase this great ingredient. This was one of the keepers. 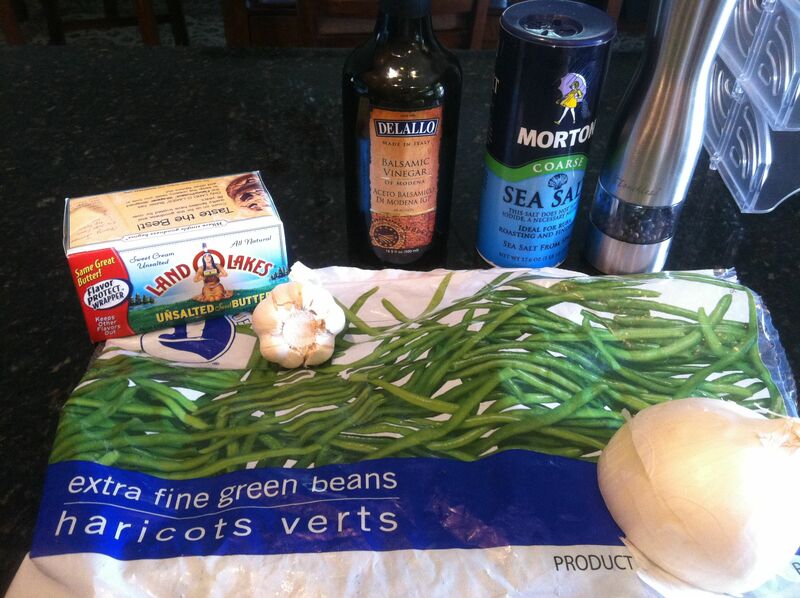 This is such a simple dish but really adds a great flavor to green beans. 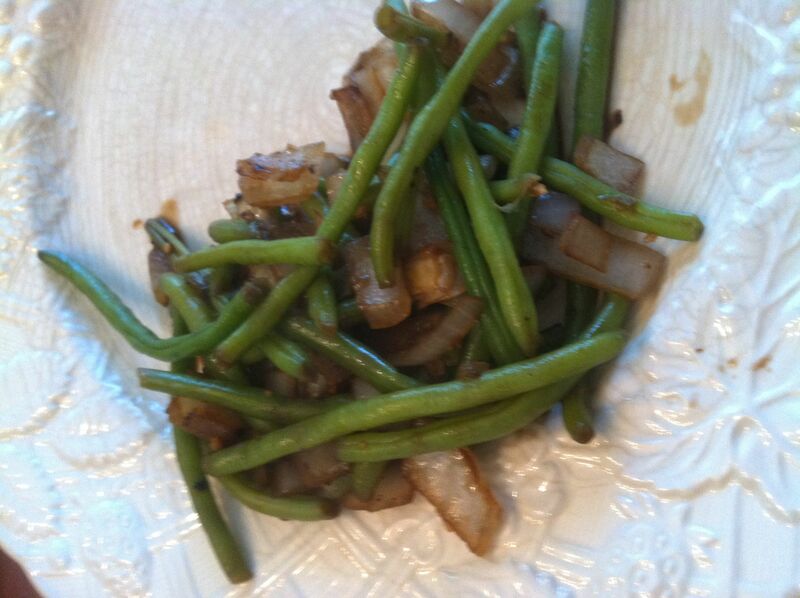 I used thin green beans and as I didn’t have shallots on hand, used a little onion in its place. 1. Microwave green beans according to package directions. 2. While beans cook, melt butter in a large skillet over medium heat. 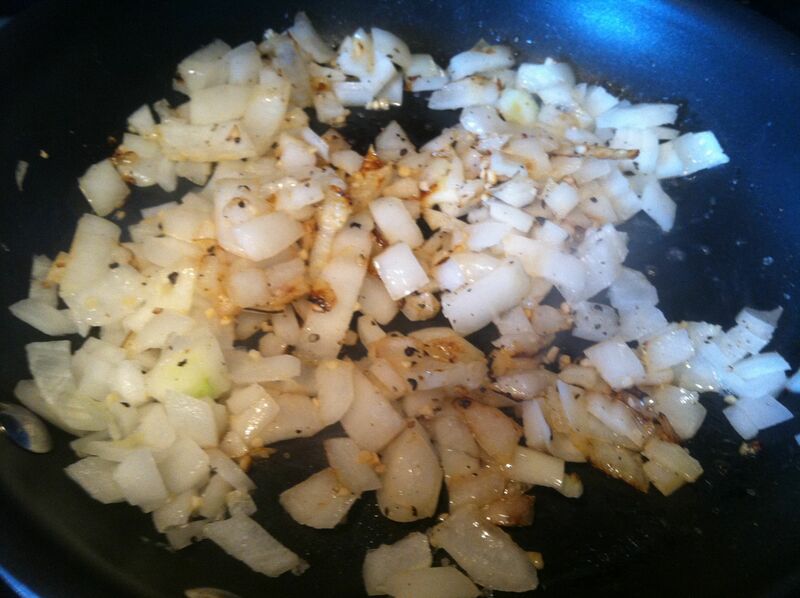 Add shallots and garlic; cook, stirring constantly, 2 minutes. 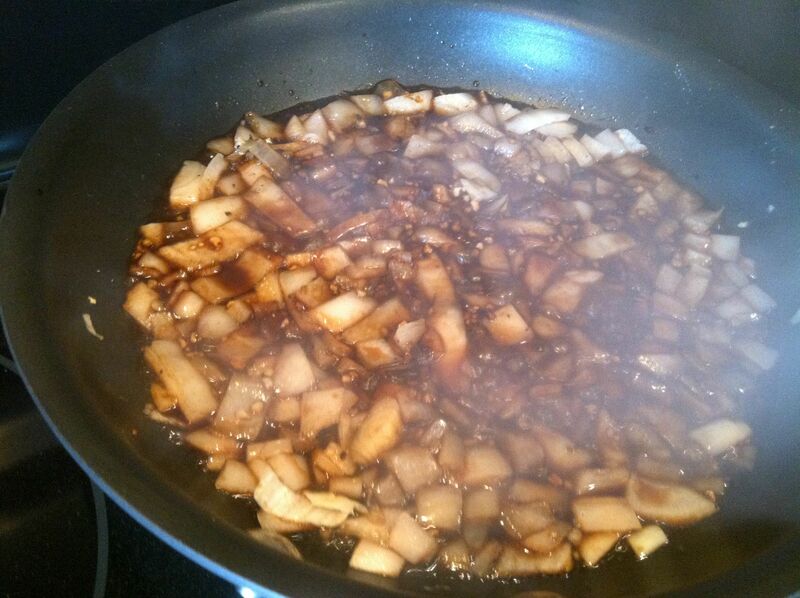 Stir in vinegar, salt, and pepper; cook 1 minute. Add beans, tossing to coat. Looks great, beans and balsamic vinegar, you can’t go wrong. I love vegetables and am happy to find a new recipe for preparing them. Happy New Year! I love balsamic vinegar. It add so much more depth to a dish. This looks wonderful!